Batman v Superman: Dawn of Justice is the continuation of Man of Steel, which was released in 2013, and which is considered the first instalment from the extended universe of DC Comics. Inspired by the comic 'The Dark Knight Returns', the film presents a plot in which Batman is forced to stop Superman, who has begun to be considered a threat to humanity. Both are immersed in a contest of power against power that is complicated by a new and dangerous threat that will endanger the existence of the planet. Upload your photos to Instagram with the hashtag #funidelia followed by #funidelia41868-0. 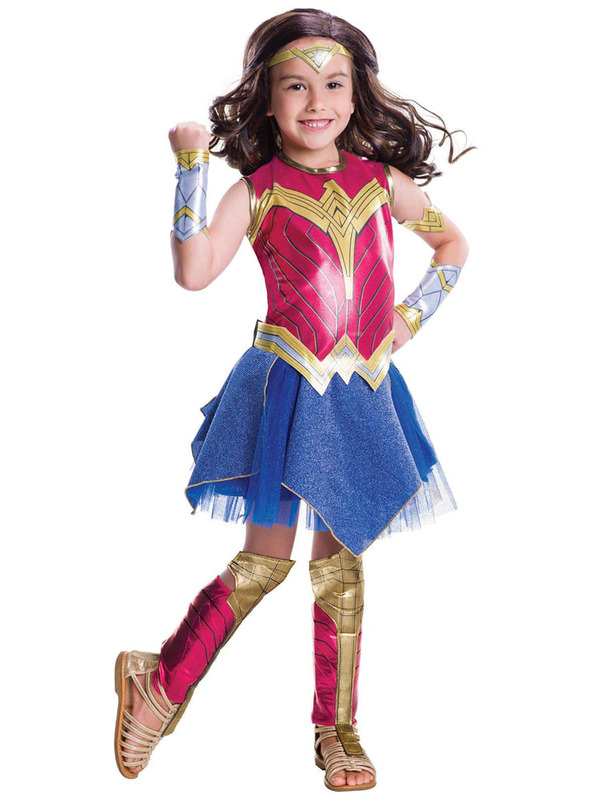 Product Rating: "Girl's Wonder Woman Batman v Superman Costume"